One of the major issues currently facing the Ventura River is 'pumping and diversion'. The river has been listed by the State Water Resources Control Board as 'impaired' in Reaches 3 and 4 due to excessive water diversion. The water board is now considering developing a TMDL, or 'Total Maximum Daily Load', for this impairment. The alternative is a MOA (Memorandum of Agreement) and plan of action for local water agencies to cooperate on a groundwater management plan. Pumping water from wells during dry summer months may cause pools to rapidly dry up, stranding and killing native steelhead trout and other aquatic species. Although this often goes unseen (they become fodder for predators such as herons, racoons, etc. ), fisheries managers in past years have responded by relocated fish from drying pools. Pumping and Diversion has been discussed during several of the recent watershed council meetings, along with presentations about water rights and the effects of wells on surface flows. As one would expect, there is controversy surrounding the cause and effect, and some even question if there is reason for the impairment listing. The timelapse sequence in this video and the pressure logger illustrate the rapid filling and drying of a pool on the Ventura River Preserve. 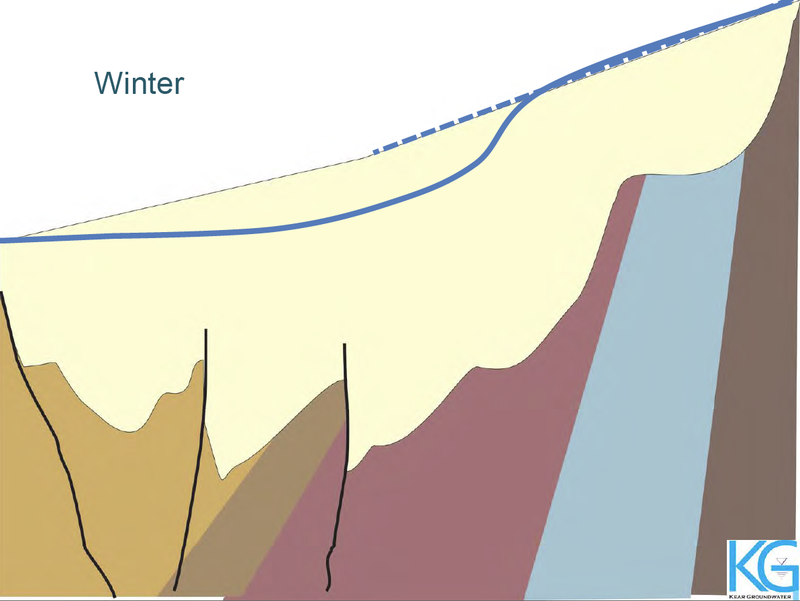 Because this occurs independently of time of day it suggests that something other than natural evapotranspiration is occurring to impact surface flows in the river. 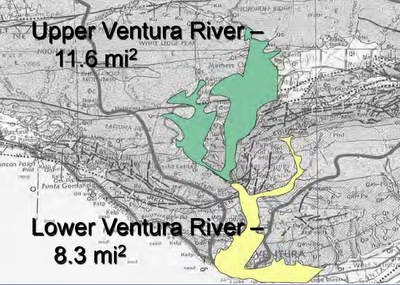 The main stem of the Ventura River is divided into two groundwater basins, with the division occurring at Foster Park. 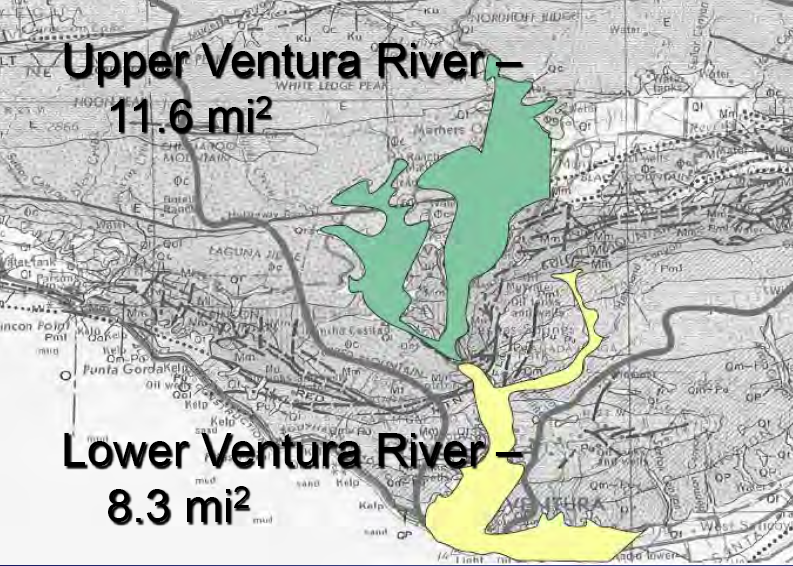 One of the areas in question is Reach 4, the section of river downstream of the Robles Diversion within the upper Ventura River groundwater basin. As the figure below illustrates, this 'Robles Reach' is usually a 'losing stream,' which often becomes 'disconnected' in dry periods. 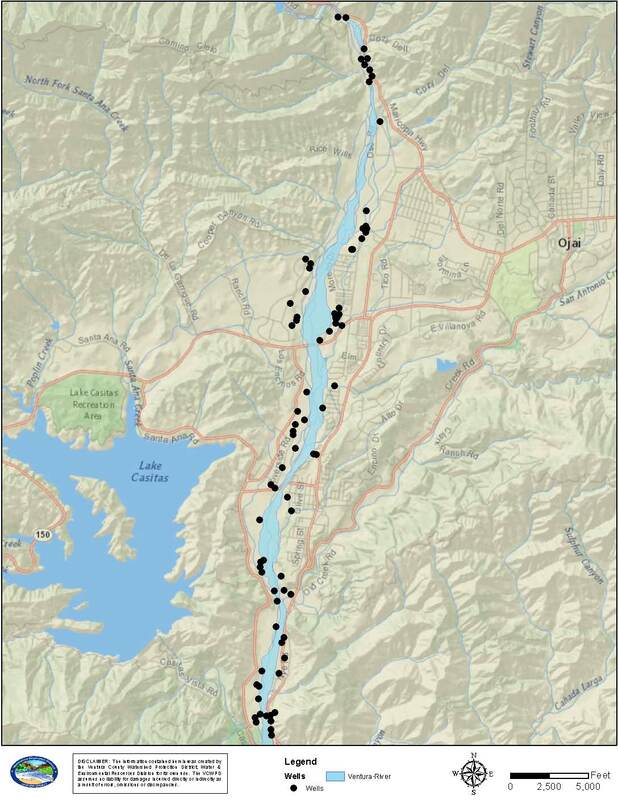 Although this Surface & Groundwater Interaction Study concluded that "pumping of wells has a relatively minor effect on river flow," this was based upon an experiment that revealed the Meiners Oaks Water District wells reduced river flows by up to 1.5 cfs (cubic feet per second.) However, this conclusion does not take into account the cumulative effects of multiple wells pumping from the same groundwater basin when summer inflows from Matilija Creek may only be 5-10 cfs or less. 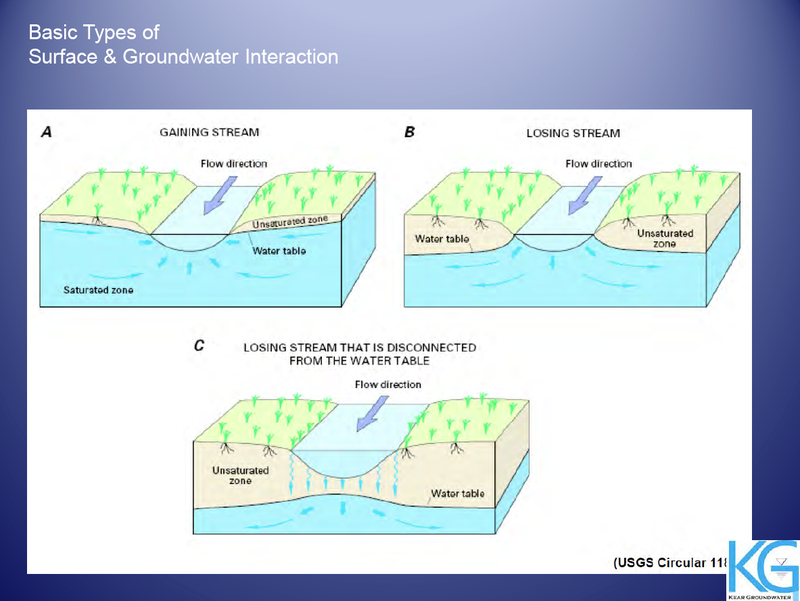 What this study does demonstrate is that there is some direct interaction between groundwater pumping and surface flows. 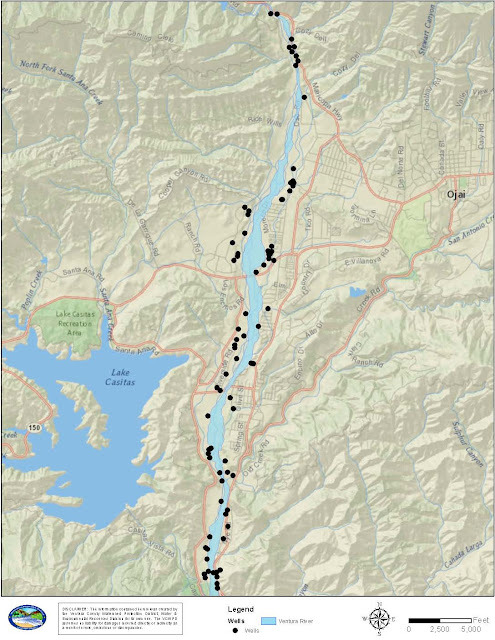 What is less clear is the effect from wells farther from the river, but within the larger Upper Ventura River groundwater basin. 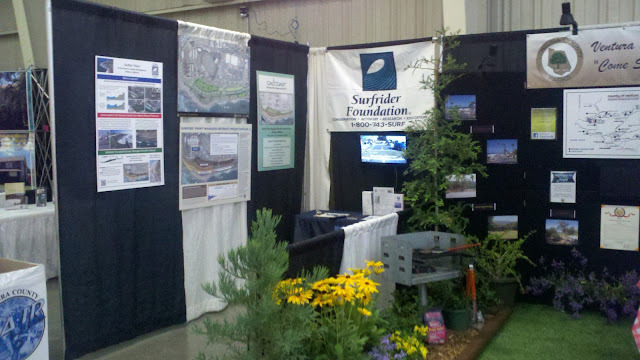 Reach 3 is under similar stress, as the City of Ventura has recently constructed new wells at Foster Park. Although these wells are regulated by NOAA Fisheries, who have established minimum flow criteria, this reach is influenced by other extractions which have cumulative effects on surface flows. Although this is clearly a difficult issue, the TMDL listing has brought many of the major water suppliers and users together to potentially work cooperatively on a groundwater management plan. 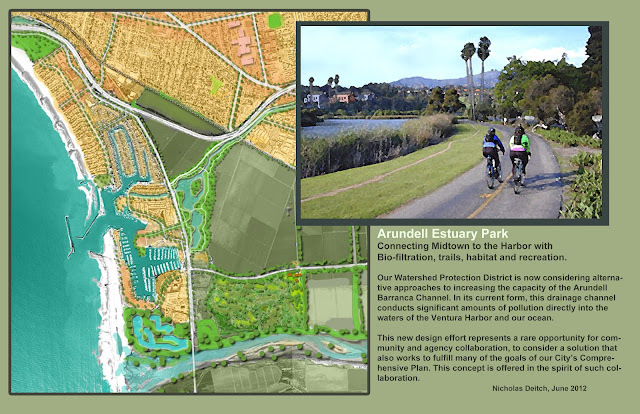 Arundell Barranca - flood control or green infrastructure? 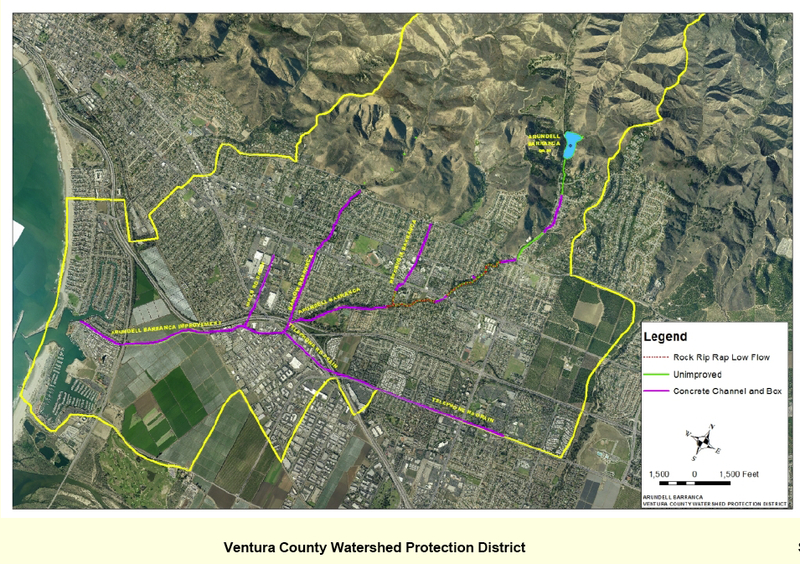 Ventura County Watershed Protection (formerly Flood Control) District is undergoing studies to address potential flooding impacts in the lower Arundell Barranca watershed. According to hydraulic models, flood risk is higher than past FEMA models, with potential estimated 100-year flood damages of $62,170,700. 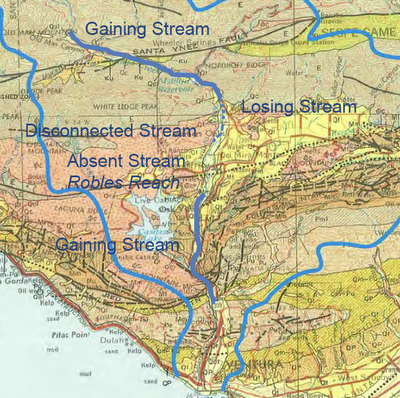 The District initially hoped to enlarge the concrete channel to accommodate the 100 year flows, and repair deterioration of Arundell Barranca Channel. The diagram above shows the affected area - Arundell Barranca drains a large urban and agricultural area and discharges into the Ventura Harbor. The diagram above illustrates the extent that the urban area has been channelized - compare this infrastructure with the historic condition in the 1945 aerial below. The photo below shows the current state of the concrete in Arundell Barranca. 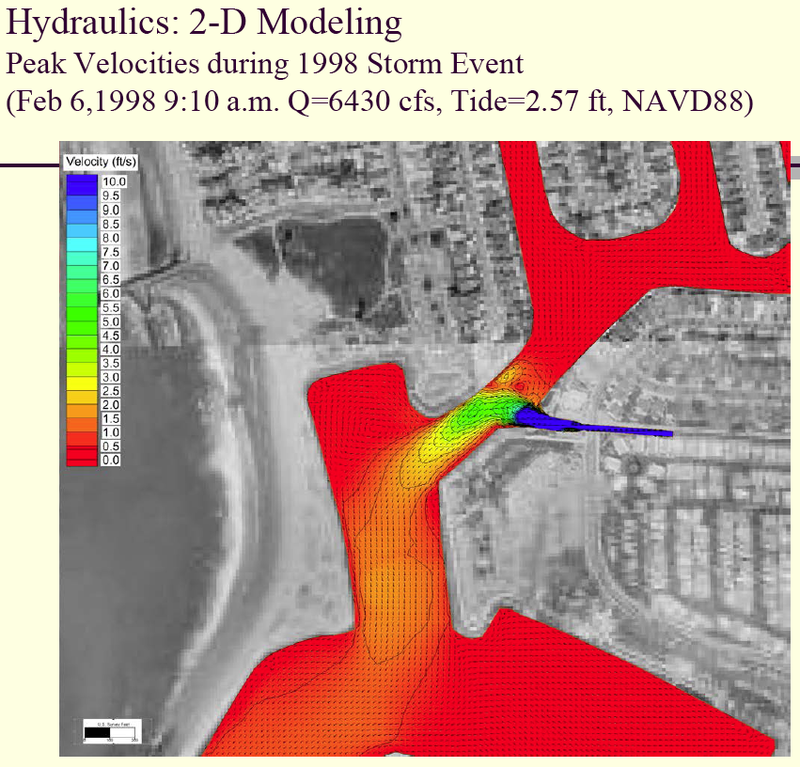 This channel conveys a constant flow of no less than 0.67 - 2 cfs in dry weather into the Ventura Harbor. This amounts to up to 1400 acre feet per year of wasted water. 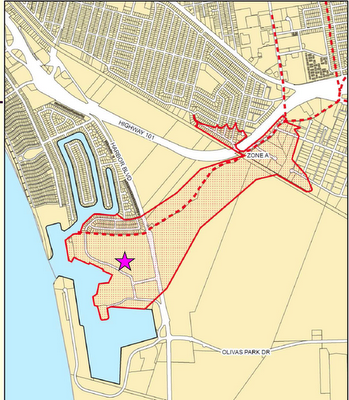 If reused in some manner within the City of Ventura, this stormdrain discharge is sufficient volume to offset the proposed extraction at Saticoy Well #3. 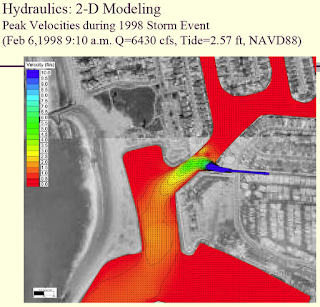 During peak storm events, the channel conveys extremely high flows and tons of sediment into the harbor. This sediment is periodically dredged and placed on nearby beaches. Because of the direct hydrologic connection between urban, industrial, and agricultural runoff, these sediments and the water in the harbor contain high levels of toxins ranging from bacteria and metals to agricultural chemicals. 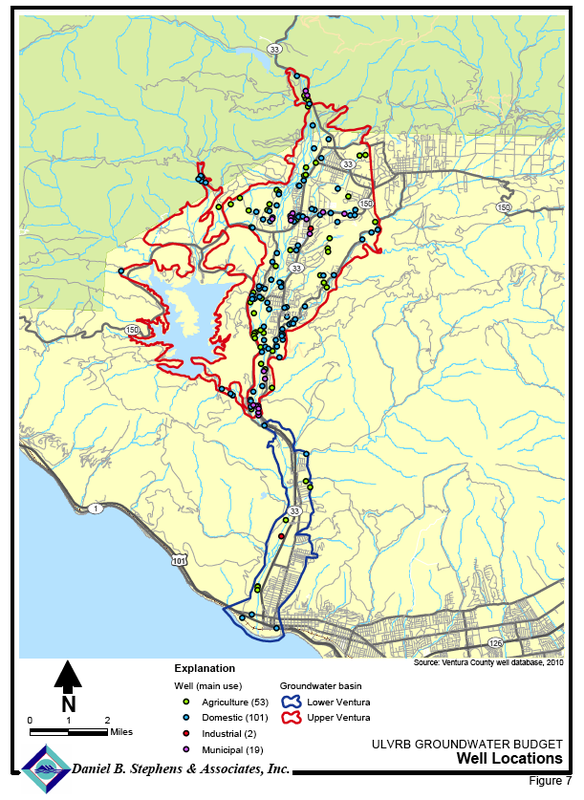 The Surfrider Foundation has provided comments to this process, expressing concern that re-constructing the existing flood control channels to accommodate the 100-year storm flows will perpetuate a water quality problem that is in dire need of mitigation. We strongly recommend that alternatives be seriously considered in order to realize the opportunity for an integrated project that will mitigate flooding and improve water quality in the lower Santa Clara River watershed and Ventura Harbor. sediments that are routinely dredged and discharged onto recreational beaches, as well as bioaccumulate in shellfish and other aquatic life which can negatively affect the productivity of the food chain and ultimately impact human health. And repeated fish die-offs may be related to accumulated nutrient levels in the stagnant backwater channels in the harbor (most recently, Officials believe a lack of oxygen killed thousands of small fish Monday in the Ventura Harbor. Therefore, although the report indicates that “a large fraction of the constituents were mostly above method reporting limits, but below regulatory objective levels,” this should not trivialize the seriousness of the discharge from Arundell Barranca. There is a significant volume of water constantly flowing from this storm drain system, and an analysis of upstream sources should be conducted to determine opportunities for flow reduction and/or stormwater capture upstream of the project site, before flows reach Harbor Blvd. Various ‘green infrastructure’ approaches may be applicable within the urban watershed to mitigate both low and high flow volumes currently present in the concrete channel. Even modifying portions of the channel to include a soft bottom low flow channel may help reduce flows through infiltration. 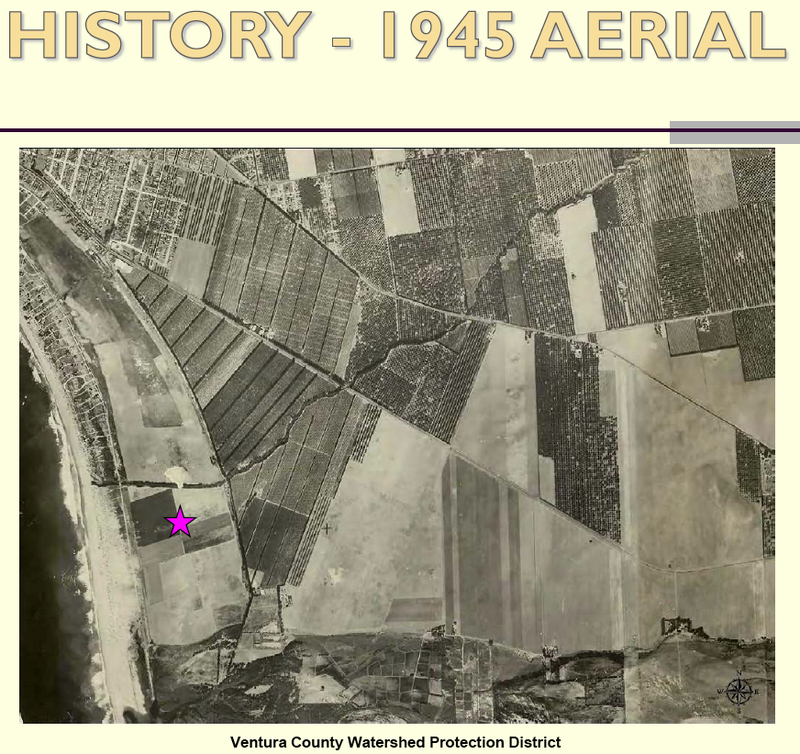 We have previously presented a vision for such an 'urban retrofit' for the Sanjon Barranca in Ventura. 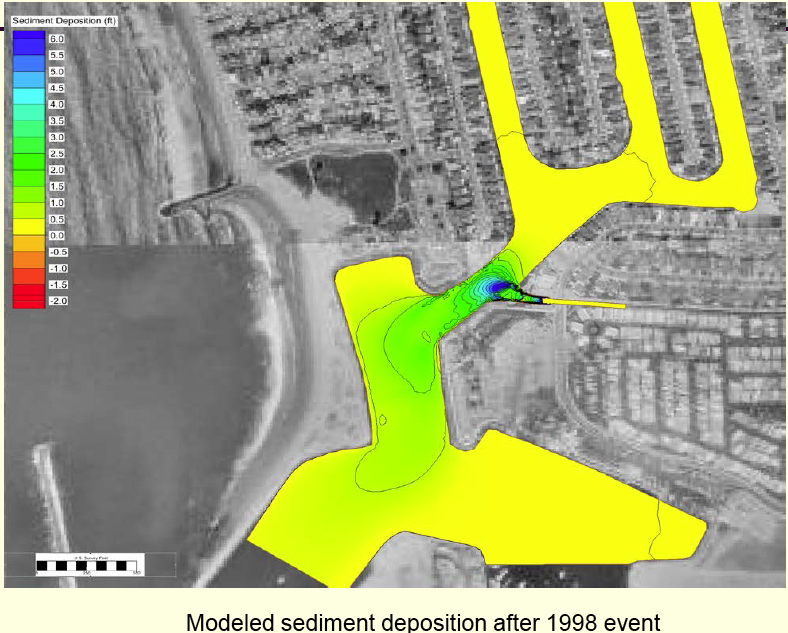 This is not a new problem, and in 1999 the City of Ventura was leading the charge on a creative approach to redirect flows away from the harbor and treat the water with a green infrastructure approach. 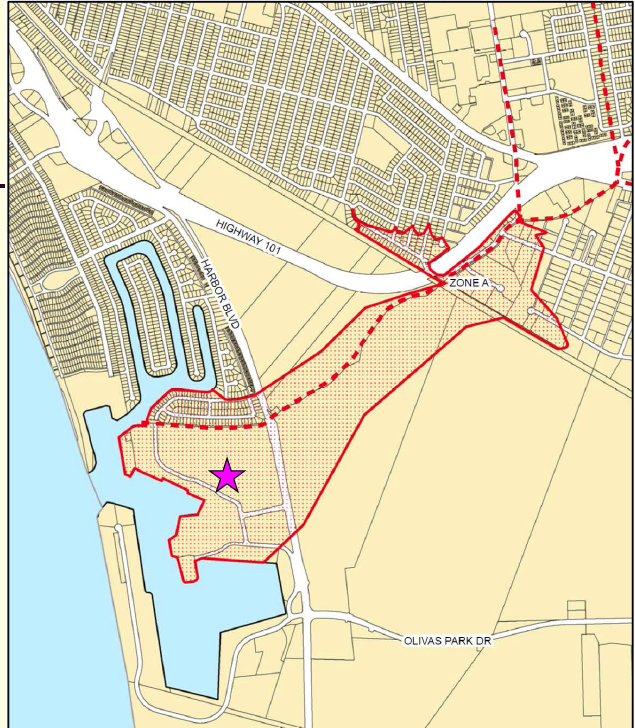 One proposal that has been circulated recently illustrates a vision for an Arundell Estuary Park, that would combine engineered treatment wetlands with public access and trails to beatify the area and solve the water quality problem in the harbor. 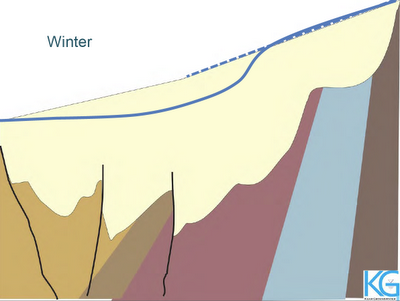 One thing is certain: a single purpose flood control project will perpetuate this problem for many decades to come. Now is the time to develop a multi-purpose multi-agency solution to one of the most serious water quality problems on our coast. The 2012 VENTURA COUNTY FAIR runs from Wednesday August 1 through Sunday August 12. The Fair provided a small booth space for an educational display describing the Surfers' Point Managed Shoreline Retreat Project. Along with posters, we installed a small television monitor which loops our chapter videos. Thanks to those who helped make this happen, as this display is potentially viewed by thousands of people! New video profiles several of the projects within the West Coast Ecosystem-based Management Network.